We all now there are no perfect products. At least nothing that is a complete problem solution. 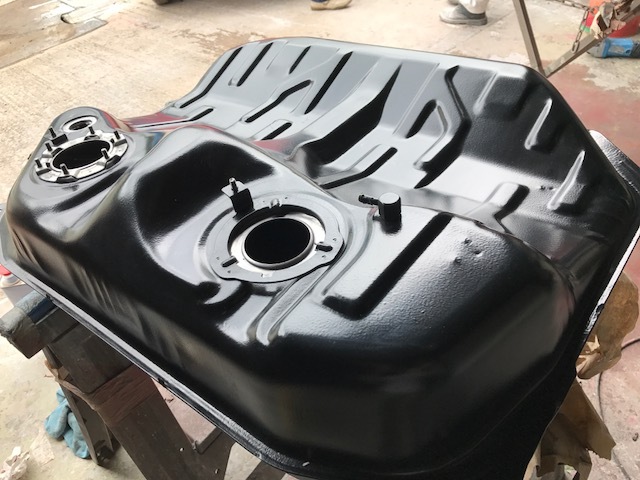 In our experience with providing an underbody protection system especially on vehicles 10years old + we found that the biggest problem with the factory parts finishes derives from flaking powder coat. Unfortunately when powder coat chips, it effects the integrity of the surrounding paint surface and on areas like sway bars where the part is in constant twist motions adhesion to the part is often compromised. Once Powder coated surfaces are compromised by chips or stress fractures moisture attacks the raw metal substrate of the part and slowly creeps along releasing the powder coat from across the part. 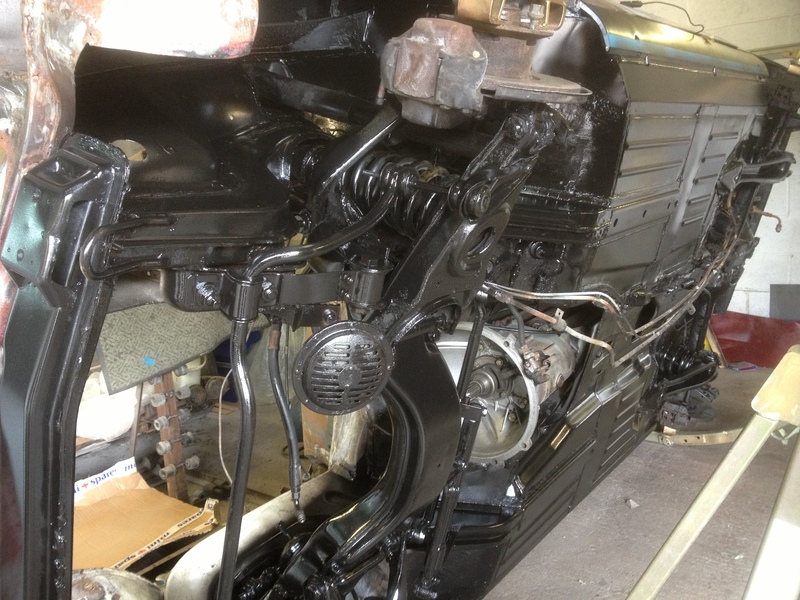 For the last 6 years by request of our clients and through our own research we have been using Epoxy mastic 121 anti rust chassis paint by Rustbusters available at rust.co.uk . I first noticed their product reviewed in an article by Practical Classics magazine and I was impressed. The product has a phenomenally thick consistency, excellent adhesion qualities (even adheres to stainless steel), remarkably tough, non porus and flexible. When sprayed the finish is very similar in look to fresh powder coat but in my opinion it offers greater longevity and rust prevention then powder coating. The thick consistency does require a very large spray air cup set up 2.5mm or more and good air pressure to apply. Even heavy metal pitting is visually eradicated from old parts due to the consistency. Epoxy mastic appears to be the ultimate painted coating for Steering, suspension and linkages. This entry was posted in News by The Paint Shop Pros. Bookmark the permalink.